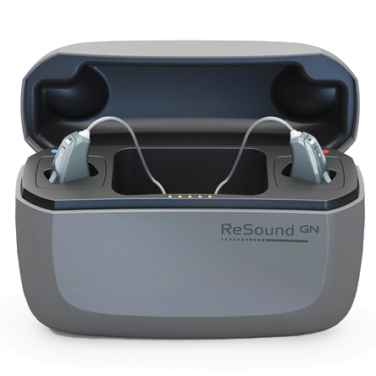 The Resound Linx Quattro is the latest release from GN Resound and is the world’s first Premium Plus category hearing aid with unprecedented sound quality. The Quattro has the highest input dynamic range of any hearing aid on the market which means you can hearing the fine details in the world around you without compromise. Whether you are listening to music or in a conversation, the Quattro has a fuller sound to help you enjoy life. 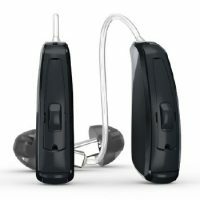 In technical terms, the Resound Quattro has a dynamic range of 116 dB which gives you access to a fuller sound spectrum. One of the best features on the Quattro’s software is Resound’s Binaural Directionality III and Spatial Sense, which helps yours ears and your brain locate where sound is coming and provides a clear balance of sound no matter which direction it’s coming from. 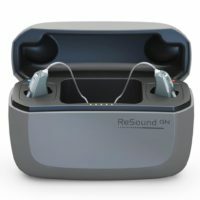 Resound pioneered the hearing aid space with the release of the first made for iPhone hearing aid. With that pedigree, they have continued innovating in the field with the Quattro announced to be the first “Made for Android” hearing aid which will be available at a future date. Resound has an incredible app which allows you to adjust the settings or programs of your hearing aids from your smartphone and even allow your clinician to make adjustments to the settings remotely without you having to come into the clinic for a visit! The Resound Quattro uses a lithium ion battery with an integrated carry case which holds roughly 3 full charges for your hearing aids. Simply pop the hearing aids into the charging pack and in only 3 hours you’ll have 30 hours of battery life to use and enjoy. Even if you’re streaming TV or Music up to 50% of the time, you’ll still receive 24 hours of battery life which is by far the best in class for rechargeable batteries. In a rush? You can quick charge your hearing aids in 30 minutes to give you 8 hours of battery life which is truly incredible. The Resound Quattro is for those who want the very best sound quality without compromise. 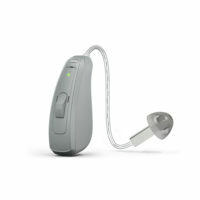 The hearing aids come in either an advanced or premium level of technology, recharging is also optional. Hearing Choices offers a 45 day risk free trial with these hearing aids so you are 100% satisfied and happy with your purchase. We have clinic locations right around Australia. All hearing aids come with a full 3 years manufacturers warranty and 12 months loss or damage cover so you can protect your investment and have a peace of mine. Please give us a call on 1300 848 335 if you’d like further information.